A buffet display decorator right on site! Your team gets creative without even knowing! Remarkable yet simple way to provide a modern experience through buffet display. A cost saving and mobile food display solution for outside catering. A great choice for caterers! Our unique buffet display replaces your buffet equipment into one catering solution. 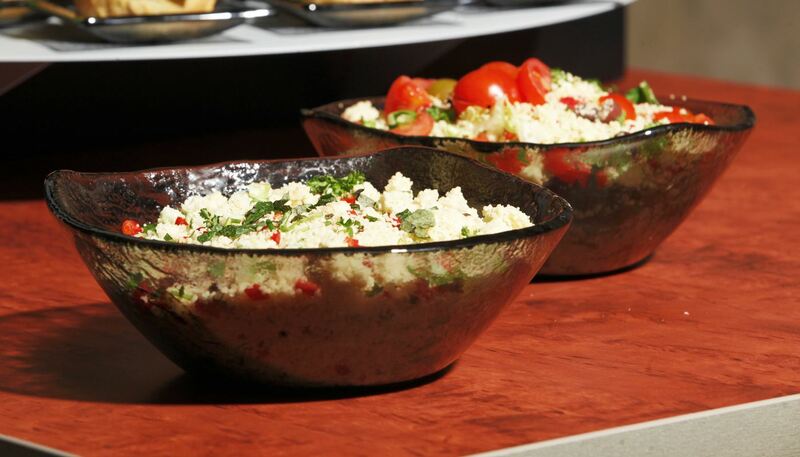 Our buffet displays accommodate either the chafing dish or cordless warmers. Our cold buffet display works both as an ice tub and also with the portable iThermo. Illuminate your buffet display with our unique LED buffet display system. Choose among a variety of colors for your brand new buffet display system. "We have just purchased the Clickman buffet system and received fantastic feedback from our guests." Offering top quality services and food is the main priority of every individual involved in the hospitality business, but using the best buffet display possible, especially tailored to their needs and manufactured with their dining location in mind is an absolute essential that many people overlook or think of minor importance. An outstanding, practical yet beautiful and creative food display is what will harmonically piece everything together and make the dishes stand out; an excellently put together buffet display is of the highest importance. 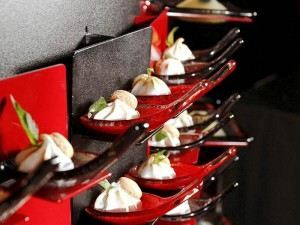 Creative food display is undoubtedly the most efficient way to make an appealing food presentation and attract attention. Whether you are in need for a buffet display for your hotel or restaurant, or you own a catering business, our buffet display systems can be transformed to entirely match your needs and meet your expectations. If you want your customers to feel inexplicable drawn to everything you offer, then our buffet display is the ideal choice. Nowadays, aesthetic appeal is as important as the food itself, since it draws positive attention and creates a warming atmosphere from the very beginning. Keeping this in mind, we created professional buffetware than can be converted to match any location or event, professional buffetware that is of extremely high quality and beauty. In other words, even before dining is begun, the appropriate buffet display will have played the most important part, that of pleasing the eye. Of course we know how to make that happen; pleasing the palate is our customers’ main concern, but ours is pleasing the eye – it was and always will be. As a result, we have designed and manufactured a wide range of professional buffetware and buffet display equipment, in innumerable colors, sizes and shapes that will accentuate your venue in the best way possible: they will add style to a themed venue, color to a monochromatic interior, texture to a minimal design, and depth to a small space. In case your restaurant, hotel or catering business could make use of some of these features, then our buffet display equipment is the only “tool” you need. Our buffet display risers, in particular, will maximize the available space provided and create dimensions even to the smallest room. Practicality is a key factor, especially important to caterers. Transferring and setting up a catering buffet are demanding tasks, which take a lot of time, effort and, consequently, money, and make catering more difficult than it should be. Our buffet display equipment and professional buffetware change this. Assembling and disassembling a buffet display was never easier, and transferring one was never safer. 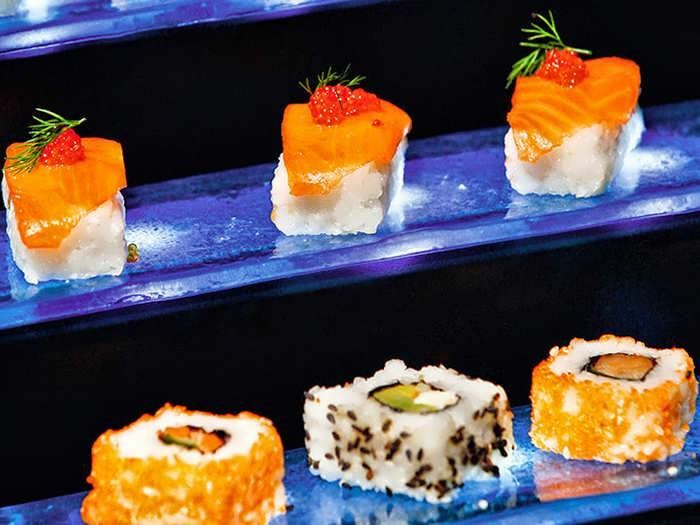 You can cut down on time, space and expenses, while at the same time you present your food in a beautiful, attractive manner on a plethora of buffet display risers. Your food presentation will be unparalleled to anything seen before, simply because it will indeed be unique. The catering buffet is transformed and readjusted according to your needs on a specific day, event and location: you can use your imagination and take under consideration the type of event you are a caterer for and reassemble it in a different style every time. Moreover, using our buffet display risers your creations will get the attention they deserve, while at the same time, they will be saving up as much space as possible. More specifically, catering buffet can be assembled within a few minutes, no matter how many of its pieces you want or you must use. Whether you are a caterer catering for hundreds or thousands of people, indoors or outdoors, formally or informally, our buffet display can and will rise to the occasion. For instance, you can make use of the buffet display risers to elevate the detail you want to show off, your “flagship”. 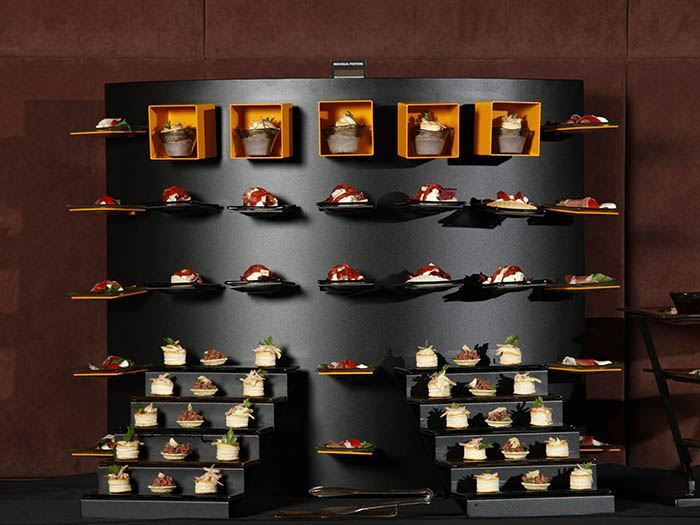 Later on, when the main course is over and it is time for dessert, you can remove the buffet display risers with a single move in a few seconds in order to use less space and allow people to move more easily. Creative food display is the simplest and yet most effective way to let your food do the talking. Versatility is what we mostly keep in mind while creating our buffet display equipment and professional buffetware, making sure that our designs can be employed by everyone in the hospitality business. A catering buffet, in particular, needs to be as versatile as possible in order to be used in almost any type of event and location. In that sense, we feel that we have achieved our goals. Indeed, versatility is the primary characteristic of our buffet display equipment and creative food display is its second nature. Never before did a buffet display encompass so many different traits all at once. However, as said before, we pay particular attention to beauty in addition to practicality. Enhancing visual appeal is a goal we constantly pursue, and one we can proudly say we have accomplished over the years. Creative food display is our field of expertise, always in combination with top-notch design and quality. A catering buffet needs beauty just as much as it needs food! Buffet display equipment, buffet display risers and professional buffetware in general can catch the eye of even the most demanding gourmand or guest. An eye-pleasing, inviting and creative food display is not only the top chefs and restaurateurs’ privilege, but rather a necessity in the hospitality and catering business, no matter its size or style. Keeping our customers’ particular environment in mind – meaning its size and style – we design, manufacture, mix and match various different sizes, colors and shapes of professional buffetware and buffet display equipment in order to create the perfect catering buffet and reach the desired result, the one that will allow every hotelier, restaurateur and caterer to show off their finest creations. We believe that nothing speaks better of your food than the way it is presented. Emeril Lagasse seems to agree with us: “Food that’s beautiful to look at seems to taste better that food that isn’t”. And what better way to make the food beautiful to look at than the best buffet display available! CHECK OUT THE BUFFET SYSTEMS!